I was born in a family that follows Jainism. Hence the first time I heard of The Art of Living and saw the picture of a saint, I wondered, “How genuine is Sri Sri?” After a few more proddings from my doctor who was strongly recommending the Art of Living Program to me, I enrolled for it. Very soon I would find out the answer to my question: how genuine was Sri Sri. 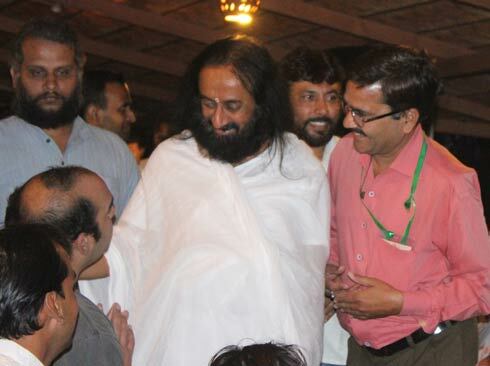 The first time I met Sri Sri was in Mumbai at a very small media gathering at a devotee’s place. Being a journalist I was trained to be sceptical, to question the genuine-ness of everything. I had interviewed a few prominent religious leaders earlier and so I was prepared for a series of instructions from his devotees prior to the meeting. Usually I was told to sit far away from the leader so that I do not pollute their aura and shout out questions, or I was frisked. I don’t know how valid such procedures were but it had got me to wonder how genuine it all was. But none of that happened here. We were simply ushered into a room where we sat in a small circle along with Sri Sri. The simplicity, the ease and the genuine manner in which it was conducted and in which he answered struck a chord in me. Yes! Here was a genuine saint. Natural. No frills, no drills. This has been an enduring impression in my future interactions with him – a genuine saint. I saw the media associate big-time industrialists and businessmen with him. But he remained unfazed by all that they had to offer, politely declining anything offered in excess. What could he want from anyone? His mission was to bring peace and happiness in people’s lives. And he was going about it in a practical way; a way in which he and his organisation, The Art of Living, were self-sufficient; a way in which he did not have to compromise on the genuine-ness of his purpose. Once I happened to be on the same flight as him. He had just finished meeting thousands in Bangalore and boarded a flight to Mumbai. When we got off, I saw at least 500 devotees at the airport who sought to reach out to him and in the process pulled his hair, his scarf, scratched his hands. The police struggled, hollered, pushed but it continued. Such was the frenzy but when I looked at Sri Sri, he had a smile, a genuine one, blessing all with his flower. When someone asked, “How do you handle this each day, everywhere?” He simply said, “See the love behind the act. The intention is important.” Only someone with genuine intention would look beyond the act. He works twenty-two hours, seven days a week. The other two hours he sleeps on the floor. Here is a saint who doesn’t preach. He lives it, naturally. People ask him his mantra for success. I say it’s his genuineness which touches the hearts of the millions who follow him. Millions around the world can’t be fooled! “Millions around the world can’t be fooled” wahv…! Excellent and very Simple truth about HIM. Very True! and Well Written. Pity that today our media has brought down journalism to this low. Isn’t good news, a news? I hope the author currently active in Main Stream Media. This tinge of positivity and freshness is what is badly needed in the media. Coming back to the post, Doubt on Genuineness is demystified for those brought up on an overdose of myths surrounding this great Soul. Thanks a lot! 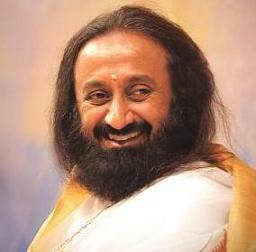 Simply Gr8 Guru, who has touched the lives of millions & transformed them ! thanks for sharing your experience….wish media would highlight the positive in our society rather than focussing on the negative! Wow…! I liked that last line.. “millions around the world can’t be fooled”..! and for Sri Sri Simplicity is the FASHION…! Nice sharing! Only those who have eyes for it, can see a genuine Master for what He is. Thank you so much..wonderful Article…Very true about the geniuinness. Guruji is true Person & very inspiring. Is but does not publish it.